Much like Valentine’s Day gifts, the heart isn’t fond of store-bought calcium, suggests new research published in the Journal of the American Heart Association. Researchers examined the heart health history of more than 1,500 adults enrolled in a long-term research project, the Multi‐Ethnic Study of Atherosclerosis (MESA). The participants, all between the ages of 45 and 84, were free of any coronary artery calcification (CAC) — a risk factor for hardened arteries, or atherosclerosis — prior to the study’s start and had remained in touch with researchers for at least a decade afterwards. First, the researchers found that participants with higher levels of daily calcium intake were less likely to develop atherosclerosis by the 10-year mark. But when they dug deeper and looked solely at people who obtained most of their calcium from supplements as opposed to diet, they found the exact opposite effect. 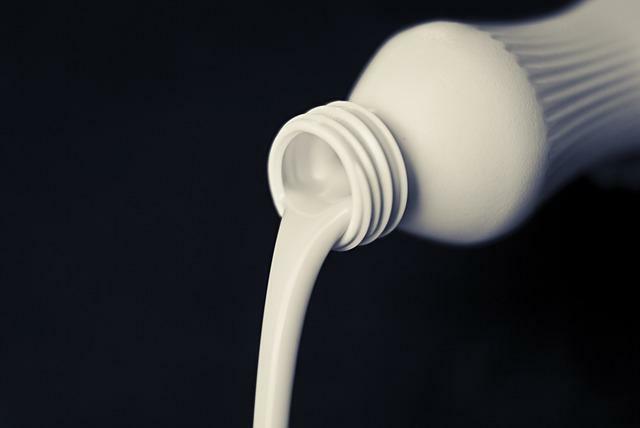 Taking total calcium intake and other factors into account, the researchers found daily calcium supplementation was associated with a 22 percent increased risk of developing CAC. “When it comes to using vitamin and mineral supplements, particularly calcium supplements being taken for bone health, many Americans think that more is always better," said senior author Dr. Erin Michos, associate director of preventive cardiology and associate professor of medicine at the Ciccarone Center for the Prevention of Heart Disease at the Johns Hopkins University School of Medicine, in a statement. "But our study adds to the body of evidence that excess calcium in the form of supplements may harm the heart and vascular system." This discrepancy may arise from how different types of calcium are absorbed into the body, said lead author Dr. John Anderson, professor emeritus of nutrition at the University of North Carolina at Chapel Hill's Gillings School of Global Public Health. Research elsewhere has shown that “ingested calcium supplements — particularly in older people — don't make it to the skeleton or get completely excreted in the urine, so they must be accumulating in the body's soft tissues," Anderson explained. "There is clearly something different in how the body uses and responds to supplements versus intake through diet that makes it riskier," he added. "It could be that supplements contain calcium salts, or it could be from taking a large dose all at once that the body is unable to process." In terms of total calcium intake, the top fifth of participants (who consumed an average of 1,400 milligrams of daily calcium) were 27 percent less likely to develop atherosclerosis than the bottom fifth (less than 300 milligrams a day). And there was no increased risk of heart disease among people who ate the highest amounts of calcium via their diet (1,022 milligrams a day). "Based on this evidence, we can tell our patients that there doesn't seem to be any harm in eating a heart-healthy diet that includes calcium-rich foods, and it may even be beneficial for the heart," concluded Michos. "But patients should really discuss any plan to take calcium supplements with their doctor to sort out a proper dosage or whether they even need them." Nearly half of the participants reported some calcium supplement use, and women generally had a higher calcium intake than men. Source: Anderson J, Kruszka B, Delaney J, et al. Calcium Intake From Diet and Supplements and the Risk of Coronary Artery Calcification and its Progression Among Older Adults: 10‐Year Follow‐up of the Multi‐Ethnic Study of Atherosclerosis (MESA). Journal of the American Heart Association. 2016.